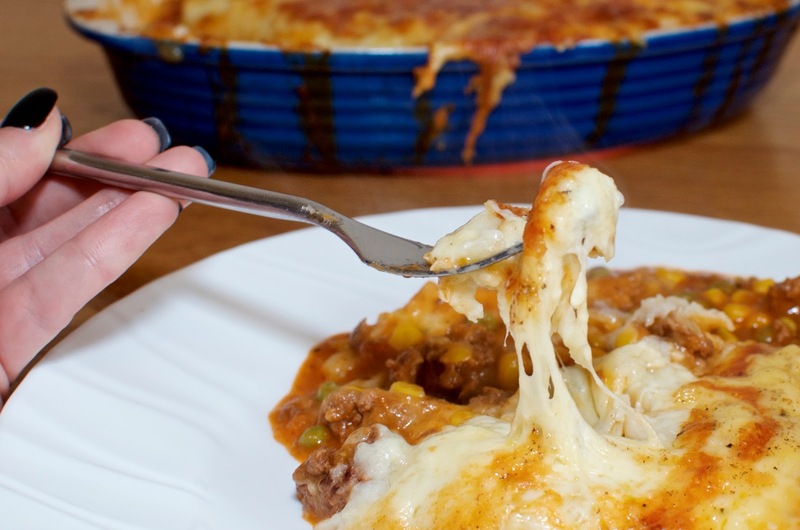 There are probably millions of different ways to make Cottage Pie and I wouldn't dare claim that this is the best one (though it is addictively delicious! ), but I will say that it might very well be one of the easiest. When I need to make dinner in a hurry, this is my go-to. 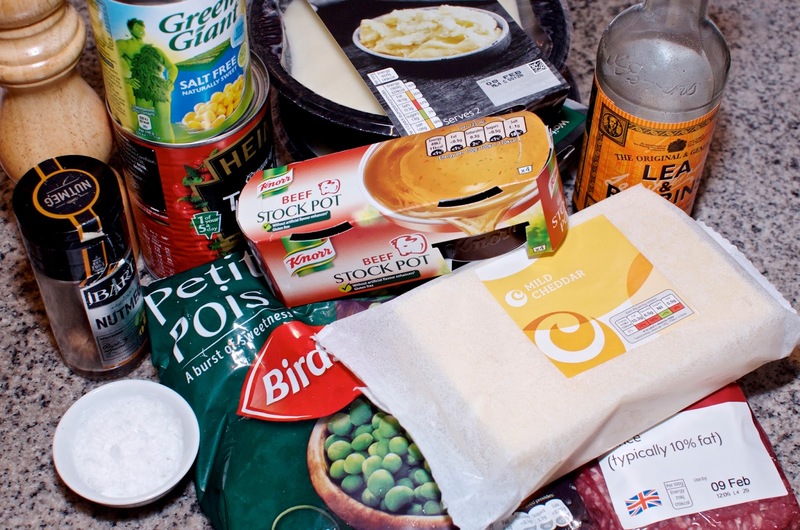 For ease and speed, I use tinned corn which is already cooked, prepared mashed potatoes from the fridge section of the grocery store (I love the Cheddar Mash from either Waitrose or Marks & Spencer for this recipe) and tomato soup for the bulk of the flavouring. I try to always have the ingredients for this recipe available at home because it's so easy, my husband can make it too, but it's also the perfect thing to whip up for unexpected guests or an impromptu dinner party. 1. Put the peas in a saucepan of water on high heat and boil until soft. Strain and set aside. 2. Preheat the oven to 180°C. 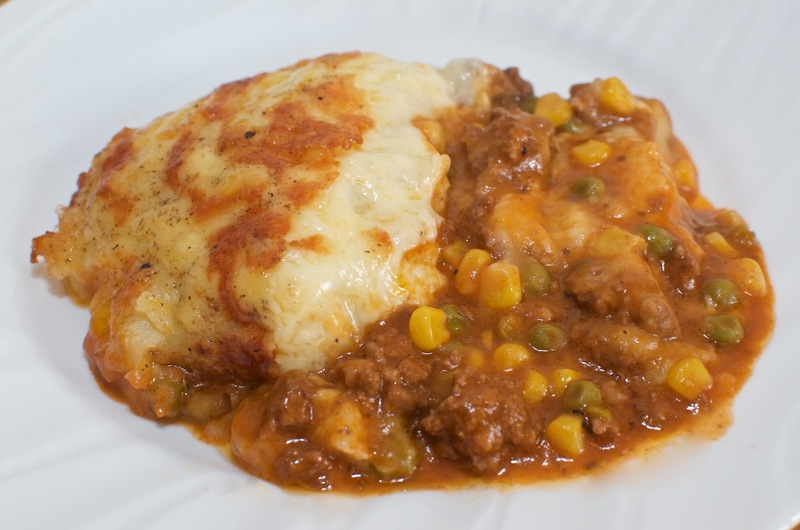 Prepare a casserole dish with nonstick cooking spray and set aside. 3. 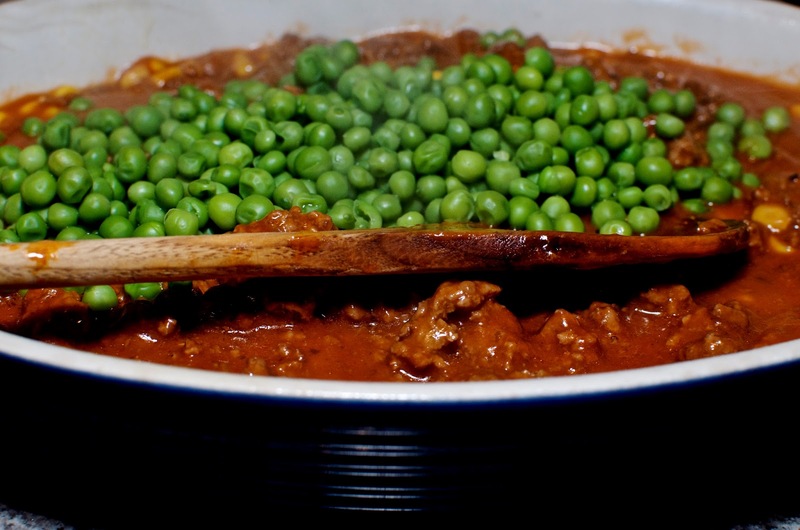 While the peas are cooking, heat the garlic oil in a non-stick frying pan on medium high heat and add the ground beef. Break up the meat with a wooden spoon as it browns. When the meat is cooked, drain it and return to the heat. 4. Reduce the heat to medium-low. Add a splash of Worcestershire sauce and crumble a stock cube into the meat. Finally, add the soup and stir. Allow the mixture to heat through until bubbling and add salt & pepper to taste before removing it from the heat. Pour it directly into the prepared casserole dish along with the peas and add the corn. Stir to combine. 5. Spoon the mashed potatoes on top of the meat mixture and cover, as you would do with cake icing. Don't worry if you have the odd hole - it will be covered with the cheese. 6. Finally, cover the mashed potato with the grated cheese and sprinkle with a little grated nutmeg. 7. 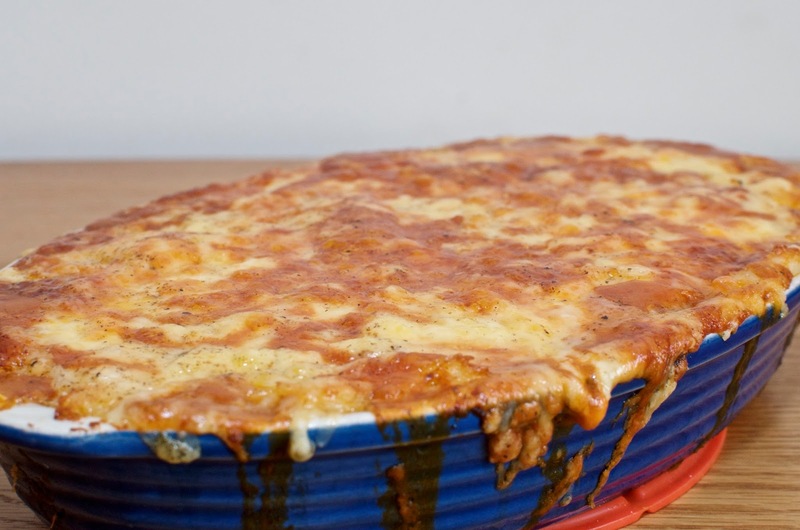 Place the casserole dish on a baking sheet to catch anything that drips as it cooks and bake in a preheated oven at 180°C for about 30 minutes or until the cheese is melted and starting to turn golden. Serve hot.